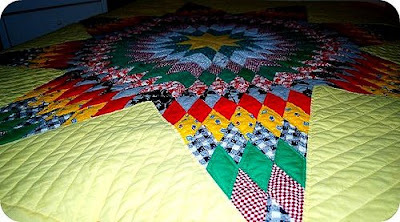 He buys me gorgeously detailed hand-sewn quilts in lovely condition at garage sales!! ohmygoodness and did I mention that it is made of the softest material that I have ever slept under?? I am in love with it. Thanks dad!! Tomorrow I go back to being an elementary art teacher again. I'm headed to RVA tomorrow...do you want anything? Yay! Was the box ghettolicious enough for you? 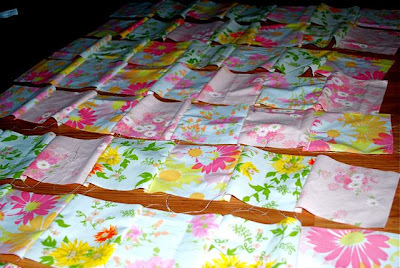 Can't wait to see this quilt in it's finished form! 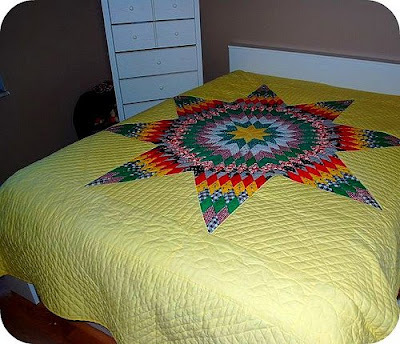 My grandmother has that same quilt design but a twin size and the base is teal instead of yellow. But yours is freakin' incredible! Beautiful!!! Your dad ROCKS!!! 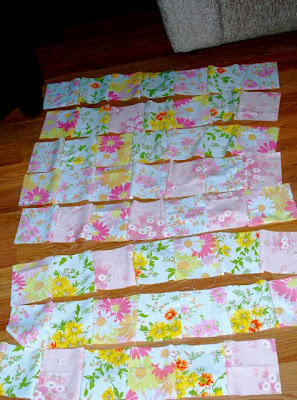 Can't wait to see your next quilt finished!!!! 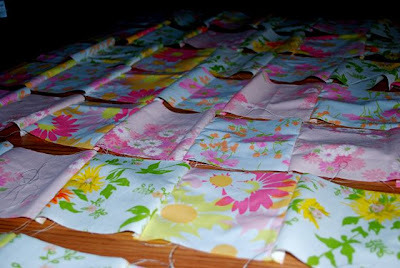 Love the quilt pix...and it's fun to see that you are making a block quilt. I love the feeling of seeing it come together. 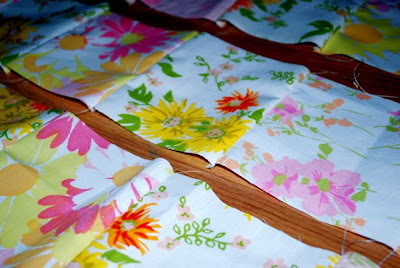 I worked on a "quilt" myself tonight -- making a beach blanket from sheets I picked up from Goodwill last weekend. Your dad is the coolest!...LOVE that quilt!! P.S...Praying for you as you start back to school. Your students are so blessed to have you as a teacher! You are one of those teachers that kids will remember long after they have finished school as being one of their favorite teachers. 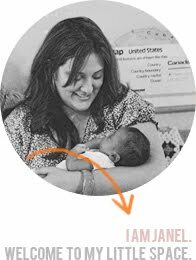 I still remember one of my English teachers (Mrs. Lempe) as being one of my favorites because she made Shakespeare come alive for me. You are that kind of teacher. You make art so much fun! I'll get it if they've got it! That quilt is GORGEOUS! I never see quilts like that at yard sales. Gah! Apologies...I only got the craft one, but I'll probably go back there before I head home in October. aw, what a great quilt! 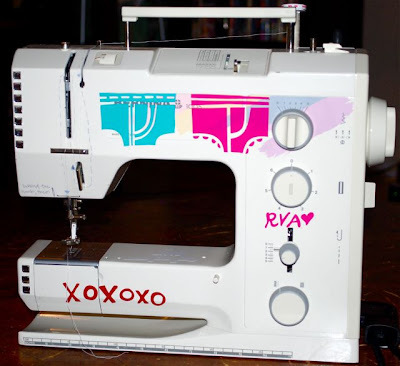 and the one you're making is looking good too! back to school is so bittersweet. geez i love it!!!! 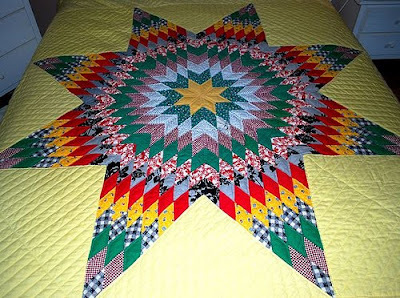 I want to make that star burst quilt :) I've been collecting fabrics for one! That is is just beautiful - way to go dad! Good luck on your first day back at school! Love the new quilt you have startd. Oh...just wanted to say thank you for me fabric patch that I won. I got it today. The colors are amazing! !